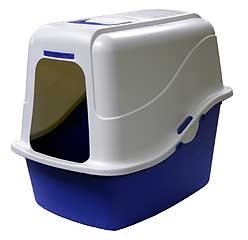 Petmate's new litter pans combine a touch of style with convenience and cleanliness. High back pan design controls dust and litter scatter. Built in secure snap latches, comfort grip carry handle and filter combine to make for a practical and improved design.